Both my children had milk protein allergies for the first year of their lives. As a result, I had to completely cut out all dairy while I was breastfeeding. It is quite amazing how many food products contain milk, or milk proteins (like casein and whey). I had to work really hard to find foods that were completely dairy-free, and often had to choose the vegan option to be sure. Every time I went to a social event, I knew there would be very few food options for me. On one occasion, I saw a delicious looking, creamy salad, and assumed that there must be some dairy in it to make it so creamy. I asked the chef, and she assured me there was not. She had used avocado and lemon juice as the dressing, nothing else. So I tried it. It was delicious. And I could not believe how easy it was to make. Since then it has become my go-to for pot luck events. I know kale has been having its moment of fame for quite some time now, but it really is a very nutrient dense food. 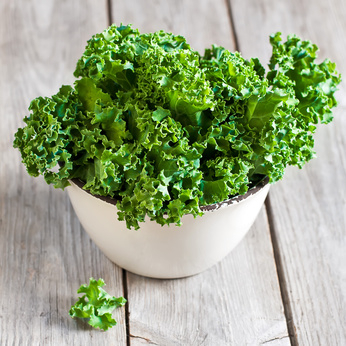 Just 1 cup of raw kale contains more than 200% of the vitamin E and around 135% of the vitamin C you need each day, with just 33 calories. It is also a very good source of vitamins K and B6, calcium, and potassium, to name just a few of the wonderful nutrients it contains. Here is the recipe for you to try. It is very simple, with only a handful of ingredients. 1. Pour the kale into a large bowl. 2. Peel the avocados, remove the stone, and place them in the bowl with the kale. 3. Pour in the lemon juice. 4. Use your hands to squash the avocados enough to coat all of the kale. 5. Add the pine nuts, salt, and pepper, and stir. 1. Pine nuts are quite expensive, so you could either substitute pumpkin seeds, sunflower seeds, some other crunchy morsel, or leave them out altogether. 2. If you like a little fruity bite to your salad you could add dried cranberries or raisins. Great new name, my family now has a Food Forum, which is good because we eat all the time. Do you ever think the Waldorf Salad will become popular again? Is it healthy? ?